With one week until Shadowhunters premieres fans are eager to see more from the small screen adaptation of Cassandra Clare’s The Mortal Instruments. 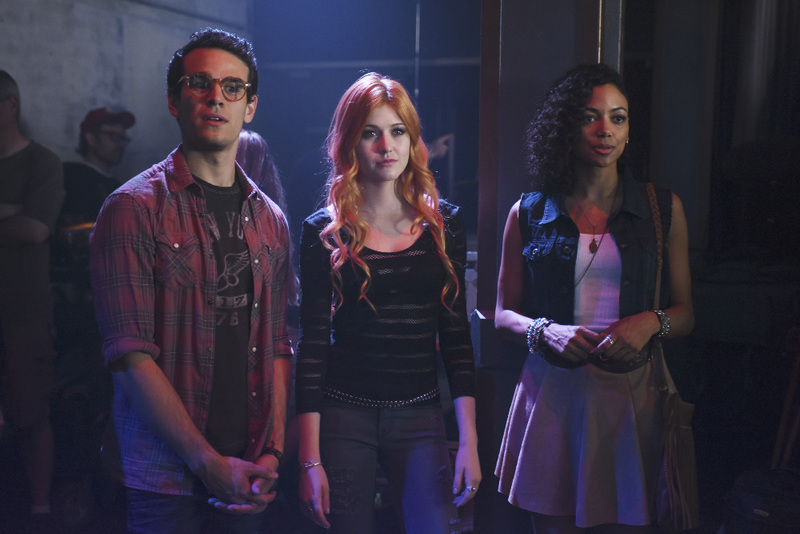 ABC Family/Freeform has released three new sneak peeks from the Shadowhunters series premiere, which features two previously scene clips from outside and inside Pandemonium. But there’s also a new scene where Isabelle confronts Alec about his distaste of Clary, who has captured Jace’s eye. The special effects seem to have improved a bit in the old clips! Yay! !